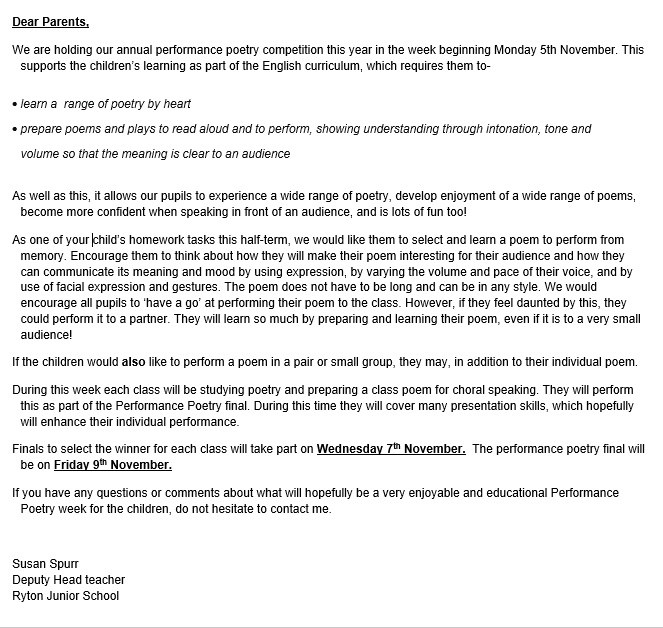 Our KS2 annual performance poetry competition takes place this half term, with the grand final on Friday 9th November. Over the next 2 weeks, as part of their homework, we would like your child to prepare a poem to perform to the rest of their class by heart. Any length or subject of poem of their choosing. On Wednesday 7th November, the children will vote for the best performance in their class and then each class winner will compete to find the Junior School Winner, 2018! As well as this, each class will be practicing a poem to perform together. 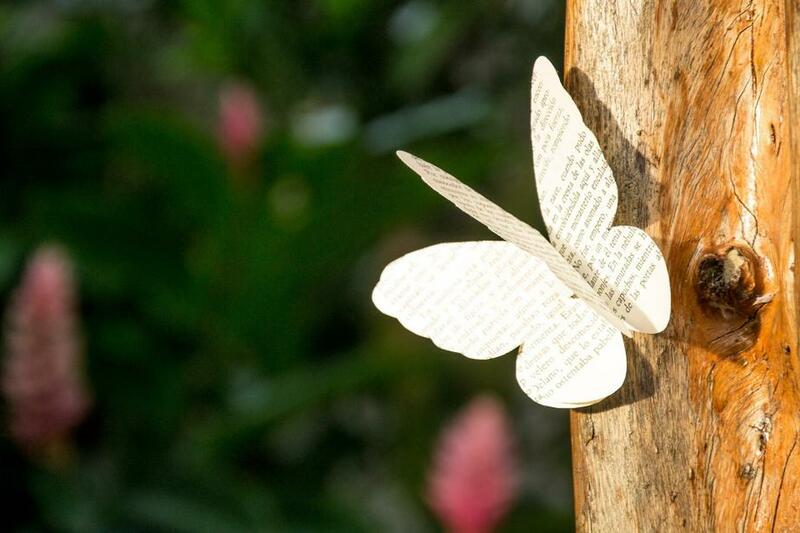 Have fun and enjoy picking poems!